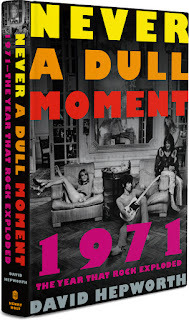 David Hepworth's blog: "1971: Never A Dull Moment" published in the USA. 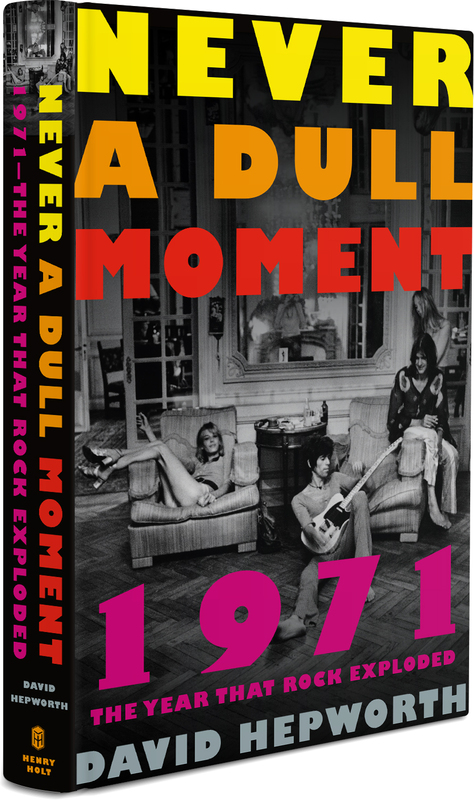 Here's the cover of the American edition of 1971: Never A Dull Moment, which comes out in the U.S. next week. I'm delighted to say it's been chosen as one of Amazon.com's best books for June. Frankly< I've lost track. The American version starts differently. Not in London, if you see what I mean. Apart from that there are a few words here and there changed for the sake of better understanding. But they're substantially the same book. Just finished it -- got through it in two big gulps. Smashing. I do believe (if this hasn't already been brought to your attention) that Paul McCartney gave "Come And Get It" to Badfinger, not "No Matter What" as stated. I was gratified to see that you acknowledged "Tarkus" by Emerson, Lake & Palmer three pages from the end. In the year when we lost Keith Emerson, it's nice to see his indisputable genius recognized in a broader context than the usual prog boffins.